We did the study on Ravens, led by an adult volunteer from our troop. She had done much background reading and had really enjoyed all she learned. Then the girls and I did a small craft project, which we followed by dinner. They were keen to get to the Eagle unit and we talked at length about situations that cause worry to them - it was a great opener for their conversation. It led them to be even more aware that they as scouts are there to support each other. The girls do not attend the same school, so knowing that someone else is ready to pray for them in stressful times during their day had a big impact. 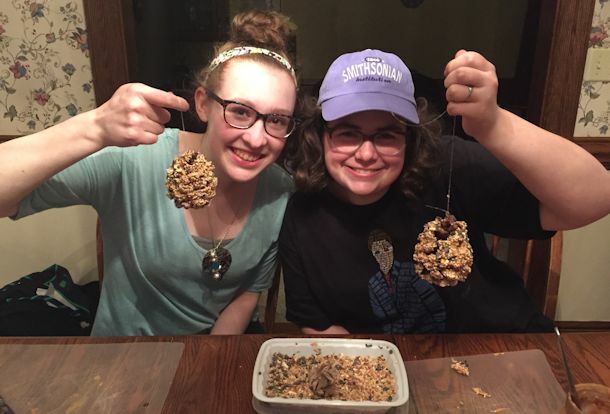 Lastly, we made the pinecone feeders and completed the Sparrow study, giving them the reality check that all teenagers need not to be over concerned with their appearance. Thank you, again for the opportunity to use these studies. My troop and I very much enjoy the time we spend focusing on God's word. Pictured are Rebecca and Olivia with their pine cone project to feed the birds. 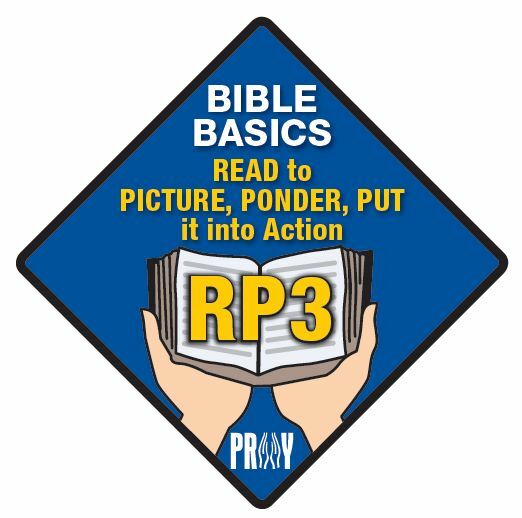 Bible Basics RP3 are short lessons and can be done in an afternoon or evening. The lessons are for all ages - young children, older youth, and adults. Visit https://www.praypub.org/rp3 to request the free curriculum. 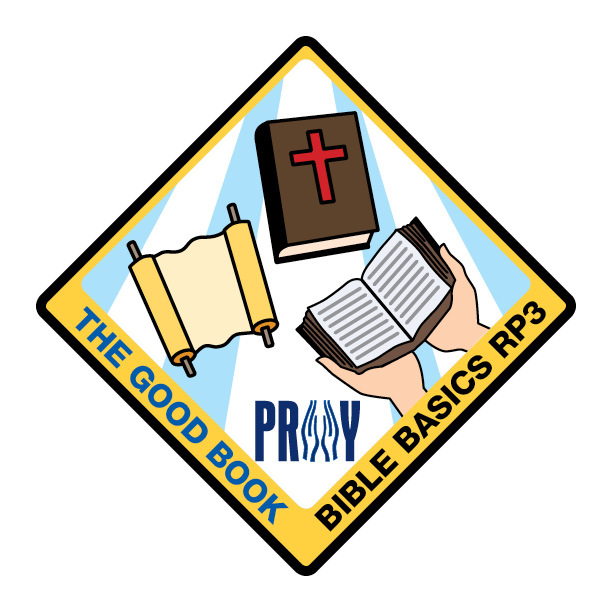 Cub Scout Pack 159 from Stephens City, VA earned “The Good Book” patch during summer camp last summer at Camp Rock Enon in Gore, VA. “The Good Book” patch is part of the Bible Basics RP3 Series from P.R.A.Y. This patch series is a perfect way to incorporate Duty to God into summer camp. This is a relaxed series more suited to a camp setting: lessons are discussion-based (writing is not required); lessons are available at no cost online (there are no workbooks for students to purchase); the lessons are shorter (each patch requires only three Bible stories); patches can be purchased in advance (there is no application form or registration procedure for these patches); and there are patches with outdoor themes (Out of the Water, Birds of the Air, Boulders, Tents and Shelters). 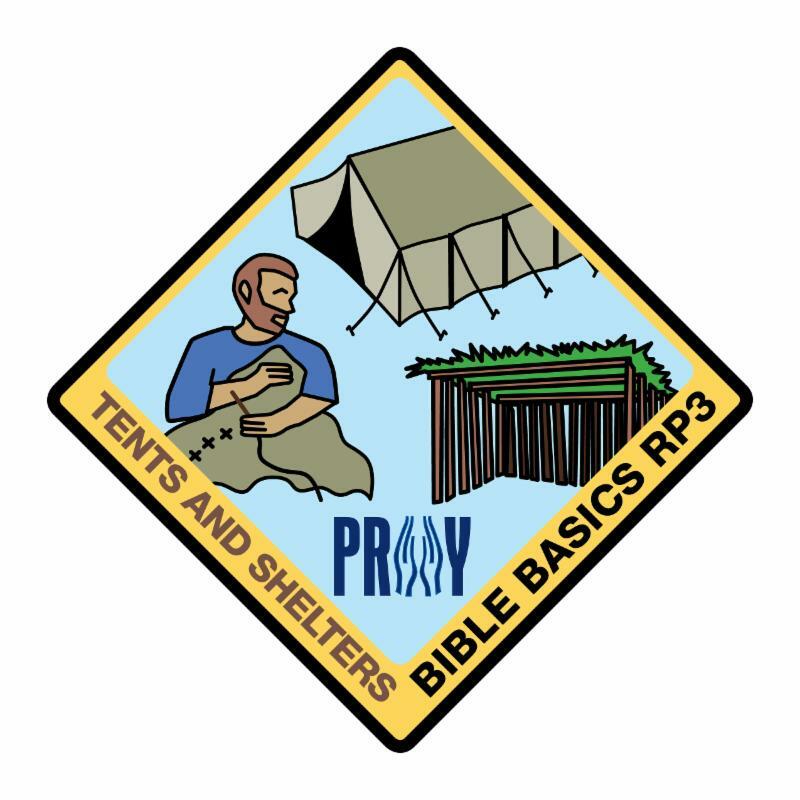 Plan now to use the Bible Basics RP3 patches at summer camp. Visit P.R.A.Y.’s webstore to order patches. Lesson: Come away and draw close to God. Having a place set apart for regular meeting with God is important. Lesson: God commands us to remember tough times and to celebrate with joy how God always provides for us. Lesson: Our everyday living is important to God. Working and making a livelihood is part of worship and ministry. Are you going camping in the near future? Will you be sleeping in a tent? Bring a copy of the Tents and Shelters Curriculum and read a story a day. The great outdoors is a perfect time to talk about our Creator God. Be intentional and incorporate spiritual growth into your camping plans! Click here to request your free curriculum. 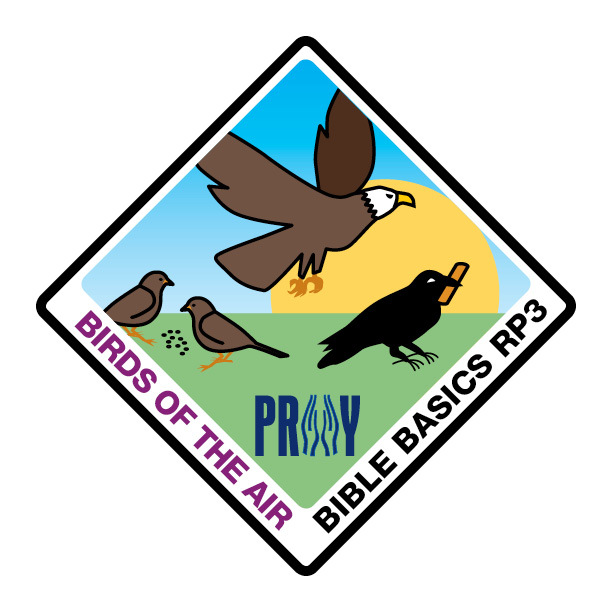 A one-page flyer describing the Bible Basics RP3 series is available in the P.R.A.Y. Resource Library. Click here to print copies to bring to your next Scout meeting or forward this link to other leaders and parents. Thank you for promoting spiritual growth in our young people.